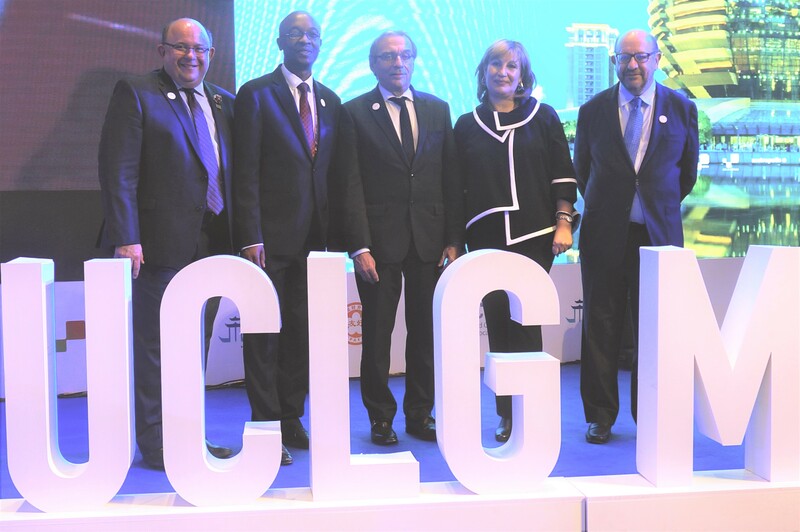 In view of the retirement of the current Secretary General Josep Roig, the UCLG Executive Bureau meeting in Hangzhou has appointed Emilia Saiz as Secretary General of the World Organization, following an international recruitment process. Emilia Saiz has been Deputy Secretary General of UCLG during the past years and has worked with the international movement of local and regional governments in different capacities since 1998. Association capacity building, the promotion of the participation of women in local decision-making and enhancing the role of local governments before the United Nations have been some of her key areas of work throughout her career. At her appointment speech before over 300 local government leaders from more than 40 countries, Ms Saiz expressed her gratitude for the challenging task entrusted to her and her commitment to continue strengthening the role of local governments internationally, as well as to enhance the capacity of UCLG to serve its members and amplify the voices of local political leaders on the global stage.